Ever dreamed of living in a 5-Star luxury hotel? Welcome home to the 31st floor of the Ritz-Carlton Residences! 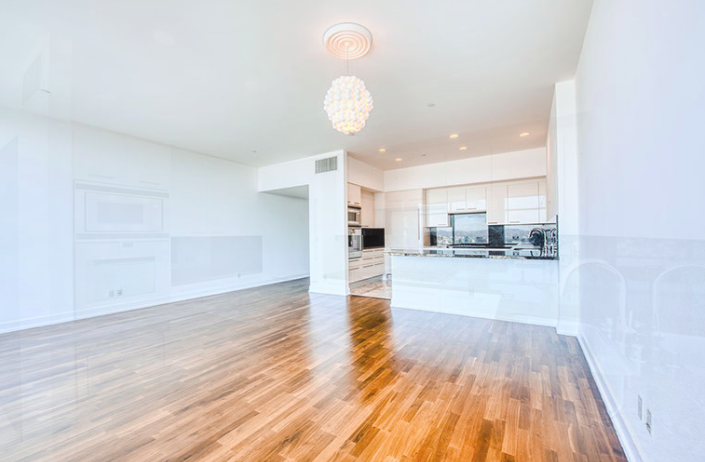 Perched high above Downtown LA with jaw dropping views of the city, this 2BR/2.5BA condo features an open floor plan with formal entry, gorgeous hardwood floors, and a wall of windows. Designer kitchen with Gaggenau appliances, plenty of counter space, and cabinetry. The master suite boasts impressive walk-in closet and a sprawling master bath w/ luxurious soaking tub. Second bedroom also features sweeping views and spacious ensuite bath. Large powder room, washer/dryer, and a terrific bonus office nook. Unparalleled amenities include 24-hour full service Concierge, Valet, Cinema-style Private Screening Room, Executive boardroom, Private lounge, state-of-the-art fitness center, rooftop swimming pool, billiard room, wine room, complimentary breakfast, and access to housekeeping and room service.